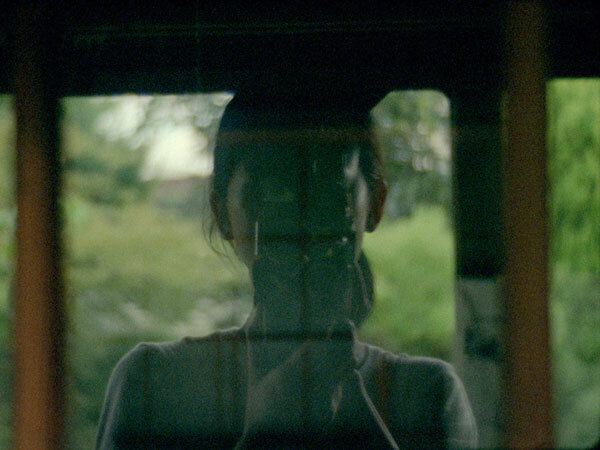 At Altitude (working title) is a poetic exploration of the suburbs in Japan through the filmmaker’s reflection on the life of her grandmother, Chiyo. 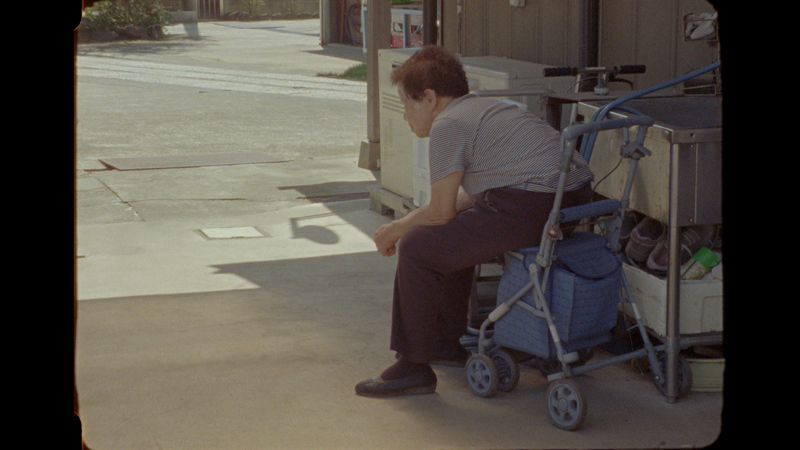 With a series of everyday moments in Yashio in Saitama from a summer fair to Buddhist rituals, the film embodies micro-narratives, seeking cinema's ability to offer a contemplative space. 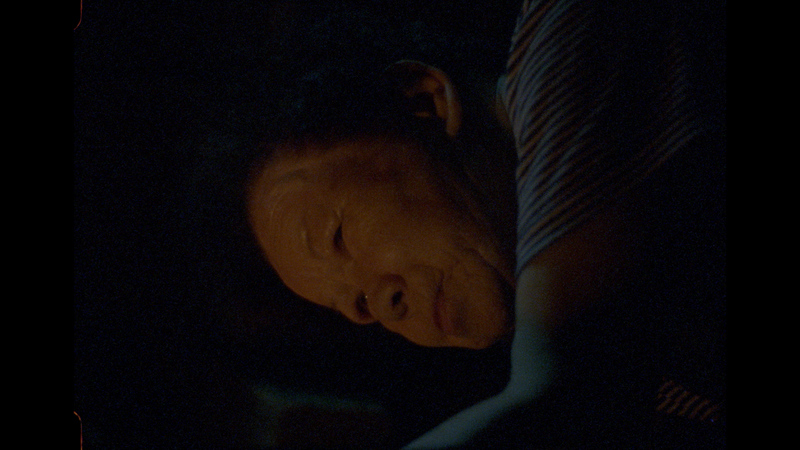 The grandmother Chiyo, an 85-year-old woman who lives in a suburb appears as a leitmotif throughout the film. Her presence is merged into the entity of the residence she lives in. 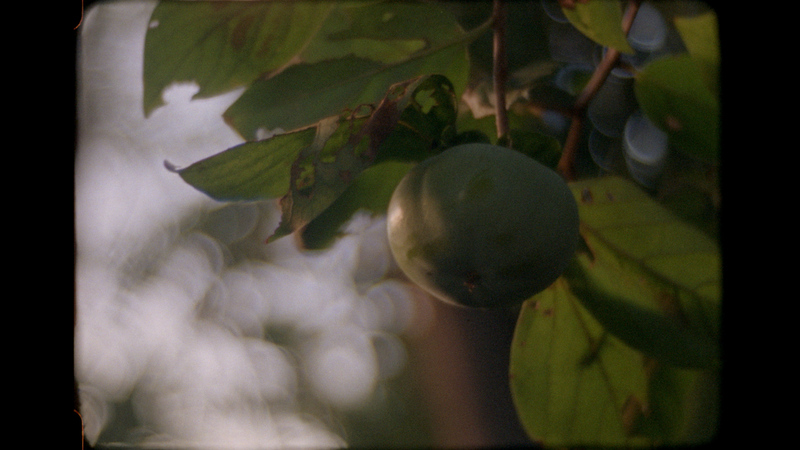 Using 16mm colour film with a Bolex camera, a series of handheld shots comprises sensuality and tactility drawn from the closeness and distance, along with snippets of conversations merging diagonal relations to the visuals. I am a Japanese-born artist-filmmaker currently undertaking an MA Experimental Film at Kingston University. I am interested in themes exploring identity, time and intimacy in domestic spaces. My practice attempts to elicit contemplation, which results in laconic, meditative and sometimes a hypnotic quality by bringing close attention to the glimpses of subjects often in everyday environments. When my mother informed me of my grandmother’s living situation and through clear signs of aging - her struggles with mobility and the fact that our family cannot provide her with enough care - I came to acknowledge my lack of responsibility over the years as well as my own absence in our relationship. Leaving London for the summer, I decided to make a film as a way of spending more time with my grandmother and to get a better understanding of her and the struggles she faced. As time went on, not only did our relationship deepen but I began to see my family history in a new light, slowly uncovering new stories and perspectives. With the intensity of our time together, I became heavily influenced by her feelings and found myself falling into a trap of depicting her life strictly through her own point of view rather than mine. Over the course of post-production, I will create a narrative of self-reflection through my own personal time and experience spent with my grandmother. By reaching the minimum it will help cover the majority of the film stock, processing & scan costs. If I reach the full target, I will be able to cover all the pre-production, the production and the post-production expenses. If I could get extra funds, they will go to entering film festivals as well as promotional materials such as posters and flyers for the film. Updates will be made available at least once every fortnight via this page and social media such as Facebook and Instagram. I have some rewards to thank everyone who donates to making my film a reality! Please see the list of the rewards including hand-printed photography from the research/production, Special Thanks credits, and Executive Producer credits. Here’s the pilot version of the film from the test shoot back in February. During the test shoot period, I was more interested in the dynamics of our relationship. However, after travelling back in the summer; my interest gradually shifted to her current life in the surrounding suburbs of the neighbourhood following her daily routine and interactions. This version still has the same aesthetic and feelings but as the film has sailed along to unexpected territories over the course of production, I am excited to share these changes with you. I am aiming ‘At Altitude (working title)’ to be poetic and evocative. Create a space in which the audience can tap into their own family memories. Intimacy in family life has been deeply rooted in my films. My motivation to make ‘Austin’ (2016) was my need to cope with the loss of my brother. It is my imaginary reconstruction of him spending his last time in the house without having the presence of a character. The film is made through a study of lingering traces of human existences through photographs of Jan Svoboda, Nan Goldin, Felix Gonzales-Torres, Gabriel Orozco and films of John Smith (Leading Light) and Jim Jarmusch (Permanent Vacation) as well as the influence of Kafka’s Metamorphosis. ‘Austin’ was screened throughout the UK including the ICA, SPACE, Encounters, and Aesthetica, among other venues as part of the screenings of the Stop Play Record film commission (2015-2018). The film is included in Channel 4's Random Acts online platform. After completing ‘Austin’, I made another film ‘Fragments’ (2017) using a crime scene diorama as an imagined family house to explore the act of investigation through observation. The film's idea was derived from my encounter with Frances Glessner Lee’s Nutshell Studies of Unexplained Death, a series of crime scene dioramas that were made in the 1940s to train police investigators. I was fascinated by the meticulous quality of the dioramas and wandered about her motivation to make them. The narrative is weaved from this curiosity mixed with actual crime scene cases that the Nutshell Studies dealt with. 'Fragments' (2017) received an excellence award in the 23rd Student Campus Genius Contest in Japan as well as being selected for Aesthetica Short Film Festival, Up-and-Coming International Film Festival, and REC Film Festival. Follow the project on Instagram for updates, info and bts photos. Thank you so much for reading the project outline. Any support including sharing the page on Facebook, Twitter, Instagram or anywhere else would be really appreciated!